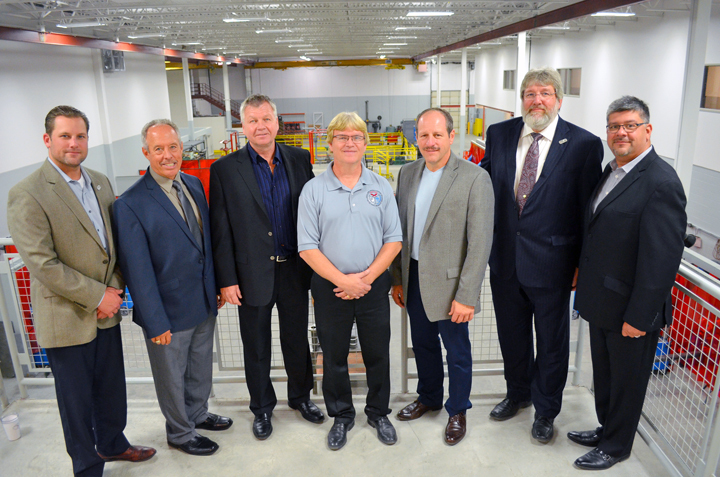 Pipe Trades officials on hand for Local 455’s open house include (L to R) Local 455 Business Representative Tony Poole, United Association International Representative Terry Urbanek, International Representative Greg Sayles, Local 455 Training Coordinator Bill Lombard, Local 455 Assistant Business Manager Tom Vail, Local 455 Business Manager Rick Magler and David Ybarra, president of the Minnesota State Pipe Trades. 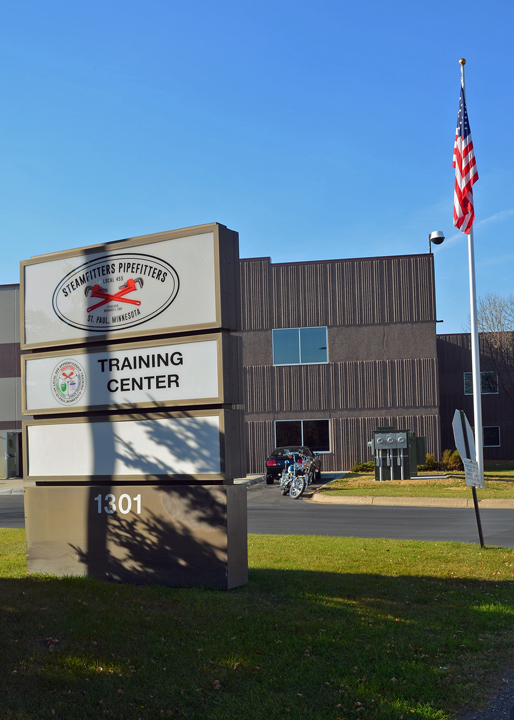 A tenant for 111 years, St. Paul Pipefitters Local 455 finally has a home of its own. The union held an open house at its new facility at 1301 L’Orient Street in St. Paul yesterday, celebrating with apprentices, members, retirees, public officials and union leaders. Local 455 acquired the property – a former fabricating shop – about a year ago. Renovations added more than 30,000 square feet to the existing, 64,000-square-foot structure, including a second story in the shop area. The facility will unite Local 455’s many operations – its apprenticeship training center, dispatch offices, local offices and meeting hall – under one roof, and the Pipefitters Steamfitters Credit Union is on track to move into an adjacent building next year. Local 455 had been renting office space from the Pipe Trades Services on Transfer Road. The union operated its apprenticeship training programs out of St. Paul College and, for the last two years, a satellite facility in Oakdale. The local will continue to partner with St. Paul College on some courses, but the new training facility features 62 welding booths, 12 additional fabrication booths and 24 classrooms with fully functional boiler, chiller, computer and electrical-control labs. “The labs are right next door to the classrooms, so we can emulate the work being done in the field,” Local 455 Training Coordinator Bill Lombard said. Lombard said it was important to the local, as the St. Paul Pipefitters, that the new facility be in the city limits, and he looks forward to showing it off to the public.